We were still filled with exciting energy from our launches in the previous month, such as Homey Flow for Web and Homey Pro (Now in stock! ), and we didn’t slow down development. Homey v2.0.5 has been released in the beginning of March, featuring German translations . We’ve also added a new experiment, Power user. Enabling this experiment will open up a world full of geekdom. Shortly thereafter, we’ve released Homey v2.1.0. It’s a big update that enables Family Sharing. A user can now either be an Owner, a Manager (managers can manage everything except users and system updates), a User (users can manage devices, Flows, alarms etc.) or a Guest (guests can only control devices). A guest user’s account can even be enabled and disabled from a Flow, which comes in handy when you want to give them access at specified times, e.g. an Airbnb guest or a domestic helper. 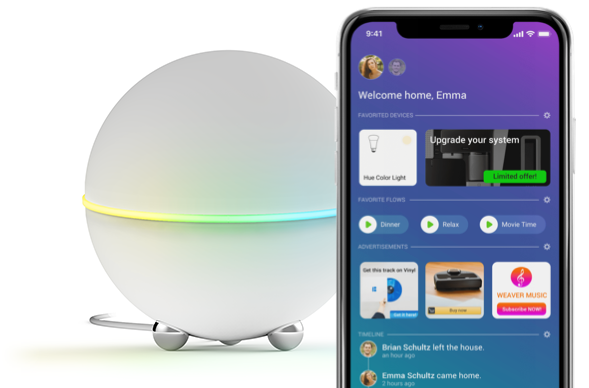 Read all release notes on Homey Firmware. This update requires an Homey app update as well (Homey app v2.2.0), which is currently being tested as experimental update. The new Homey app also enables support for in-app Wi-Fi setup and account creation. I’m really proud of the unique experience we’ve created. Setting up Homey and inviting a new user is a breeze for both you and them. Google Assistant users can also rejoice. We’ve successfully negotiated a compromise between our privacy requirements and their certification process. It’s now up to them to approve our direct integration (“OK Google, turn on all lights”). We don’t know how long this will take but you can be sure we will be on top of it. And of course, on April 1st, we’ve released Homey AdAssist. We hope you liked it.